As we come to the Easter Holidays, we can reflect on a term of amazing progress in getting the Academy up and running. 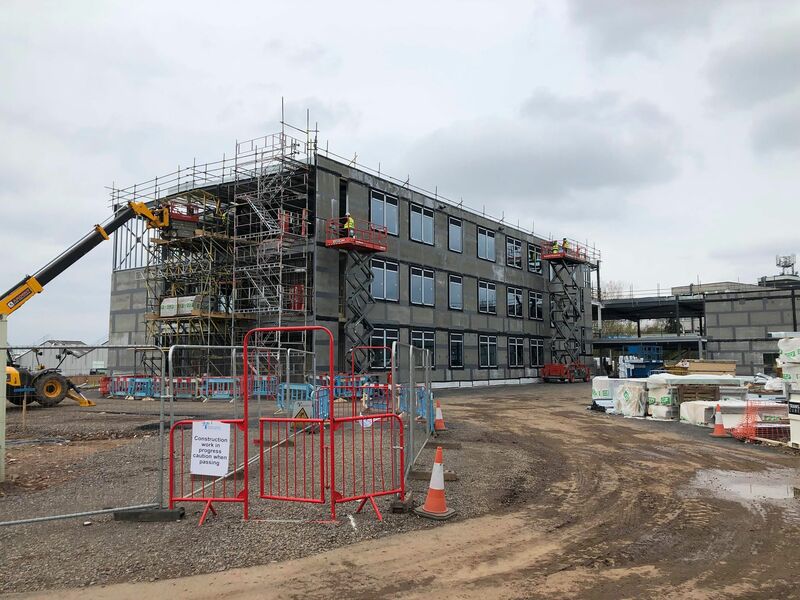 We have seen the building progress, staff recruited, our funding agreement completed and most importantly, we have 175 students and families ready to start in September. Amazingly in 145 days we will see the first students walking through the door. So some updates. Tuesday we were on site and saw even more progress, the bottom floor has had the internal structure completed, we can even see some plastering and as we make our way further up the building we can see big changes on every floor. I am pleased to say we are still on schedule for completion. When we come back after Easter we should see some of the classrooms plastered and maybe even some of the exterior render coating being added. Away from buildings we have been looking at some key dates. We can confirm July 4th will be our Induction Day hosted at the Bethel Convention Centre. We hope on that day all students will be able to meet their new teachers, have a tour of the building and have a great experience. If there are people reading this blog thinking about applying for September 2020, our Open Day will be on October 18th. Over Easter we will be away, though someone will be monitoring the e-mail, there will not be a Principal’s blog until we return. Shortly after Easter we will be sending out our welcome packs. As well as a number of forms to complete this will include a calendar, information about the Academy, lists of uniform and equipment, more about our Literacy for Life curriculum, some days for parents to come and meet our SENCO and which houses the students have been allocated to. There is more and more being added so bear with us as we pull it all together. We are still recruiting with four adverts out at the moment looking for more specialist staff and interviews will take place after Easter. Then we will start our non teaching recruitment phase. On top of all that we are putting the final touches to our procurement plan, a document that details every piece of furniture, equipment and technology that the Academy will need. From display screens to cutlery to first aid kits to test tubes, it is going to be quite the shopping spree. My best moment of this term has been national offer day and hearing from so many of you how excited you are to come to the Academy, this is such a positive community and I am determined to take that positivity into the opening of the Academy and for years beyond. I wish you all a fantastic, restful Easter Break.